The military anti-terrorist army takes control of "Chuspi", an unknown and faraway small village, isolated by the terrorist group "Sendero Luminoso" (Shining Path). A soldier called Vitin Luna, and other young soldiers face an invisible, perhaps superior force. Their unit is commanded by a brutal lieutenant who declares the entire village guilty of treason. In the face of this crisis, Vitin must choose between blind obedience and his own conscience. The Peruvian anti-terrorist army takes control of a far away and unknown small village isolated in the Andes by the terrorist militia "Sendero Luminoso" (Shining Path), during the dirty war in Peru at 80's decade. While Latin cinema has been lagging over the past few years, this film exemplifies the political turmoil that tends to fall into play when one regards the Third Cinema. Dark and scary, this film really took me by surprise not merely for its power, but for the fact it was one of the first foreign films that broke the stereotypes I had placed on the genre. All of the characters are realistic, and while the last scene rings loudly of The Deer Hunter, it is a fitting way to end the film. I just saw this movie and let me say that it's as realistic as it can get, in some scenes it's hard to distinguish if it's a movie or a documentary. 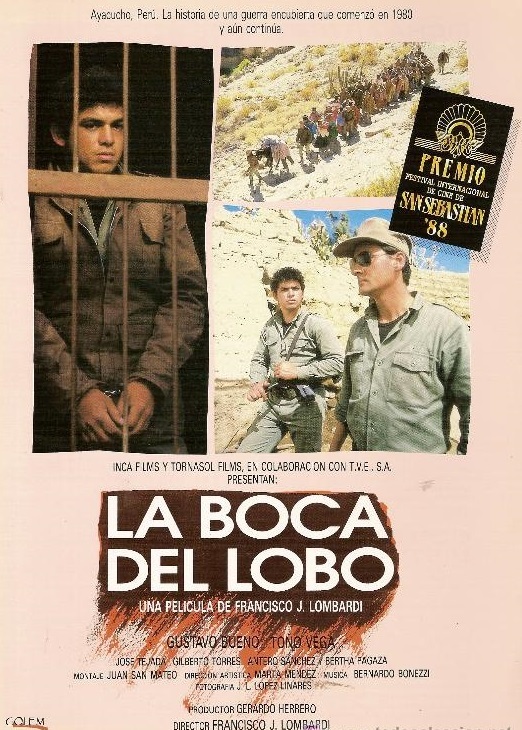 The movie not only documents the reality of the peruvian civil war but also what exactly goes on in villages afflicted by war, the movie also depicts the racism against indian peoples in latin nations. This movie is the epitome of realism. I know this because I have been myself in the middle of a Latin American civil war and there's nothing you can subtract from this movie as being unrealistic. The "Sendero Luminoso" (Shinning Path) guerrillas were the most strange guerrilla movement in the American continent, it was refreshing to see this movie and see their modus operandi in the battlefield.